No matter if you find yourself in London, Toronto, New York or a small town for Easter weekend, there’s always a chance that you’ll end up bored. The first thing that comes to mind is an easter-egg hunt but there are so many things to do on Easter that you have no excuse to stay at home moaning and groaning. 1. Go to the nearest bookshop or cafe library and read a story over a cup of hot chocolate. 2. Go hiking. Challenge alternatives: Choose the highest peak around you. Climb a peak for the sunrise. Pop open a bottle of champagne on the top. See our guide of 22 fun activities in the mountain. 3. Organize an Easter-themed picnic – bring all the painted and chocolate eggs under the spring sun. 4. Eat chocolate. Chocolate eaten on Easter doesn’t count, Jesus is rumored to have said. 5. Road trip time! Have a new view every morning with your coffee. 6. Learn something new. Crafts? Gardening? Travel hacks? Just type your how-to question and find a tutorial for a new skill. 7. Go cycling. Road or mountain – it’s your choice. 8. Bathe in a waterfall (weather permitting). 9. Do something extreme. A bungee jump or a parachute jump? A rafting adventure? Scientific researches have revealed that the most important part is to have a brave friend because risk-taking is contagious. 10. 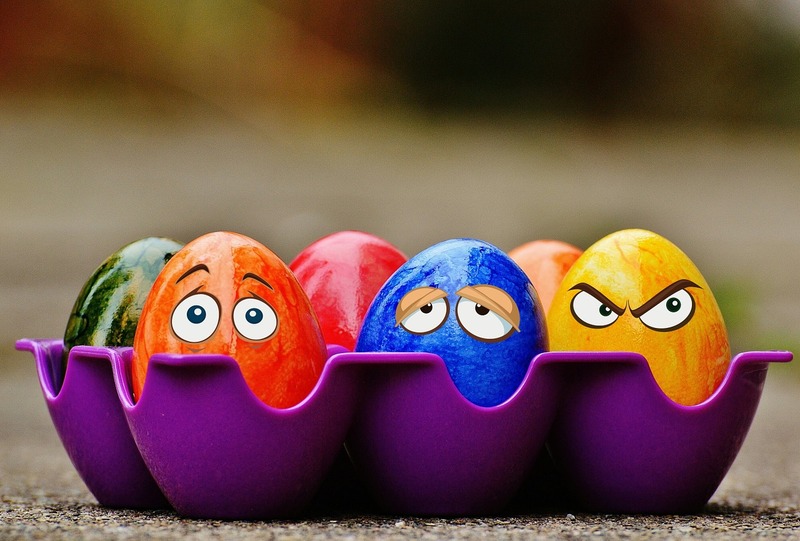 Take a camera and shoot a photo story about the day of an Easter egg. You can name the egg too. Harry. Or William. 11. Organize a board game contest. No need to spend money – rediscover the board games long forgotten or search for fun printable ones. 12. Become a nature explorer in a botanical garden. If you don’t have a botanical garden close to you, visit the nearest park with a plant recognizing app on your phone (for iOS: LikeThat Garden. LeafSnap; for both Android and iOS: NatureGate (including bird, fish and butterfly identification). 13. Plant flowers or herbs. There’s nothing better than your own herb garden to pick fresh cooking ingredients. 14. Clean your closet. All clothes that haven’t been used for the last 2 years can be given away for charity. 15. Plan a sightseeing walking tour of your town. Choose 10 famous attractions that you possibly pass by every day, and read more about them. Everyone of the group researches one attraction and takes the role of a guide for a while. 16. Cook anything in the shape of eggs and bunnies. 17. Travel movie night. You know what to do. 18. Spend a lazy day in a hammock. We’ve said a lot about the importance of spending enough time in a hammock. Get yourself a colorful one and please take care of your laziness levels. 19. Make interviews with all family members. Create a list of 50 questions about life and all, and ask everyone to fill it. 20. Do a good deed. Visit a senior neighbor and bring him or her flowers, freshly baked bread and news from the city.